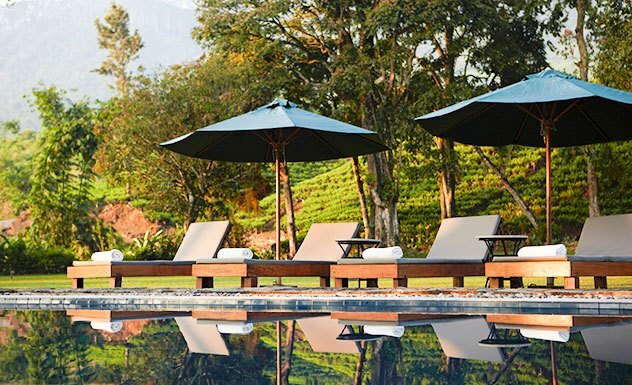 Welcome to Ceylon Tea Trails, a range of luxurious planters’ bungalows in Dickoya, found approximately 4,000 feet above sea level in the southern highlands of Sri Lanka’s tea country. 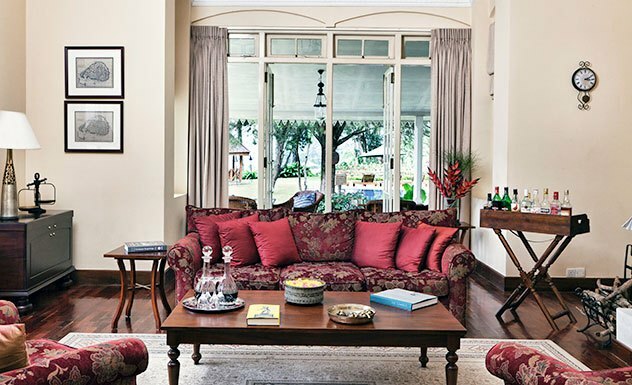 Tea Trails comprises five classic colonial bungalows, all of which are Relais & Châteaux bungalows, built for British tea estate managers in the days of the Raj. 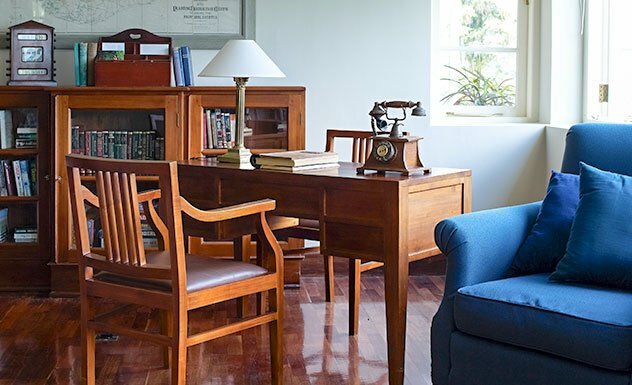 Each bungalow is different, combining both classical and contemporary styles: the effect is quintessentially luxurious and colonial, a stroll back in time but entirely resplendent in modern amenities. 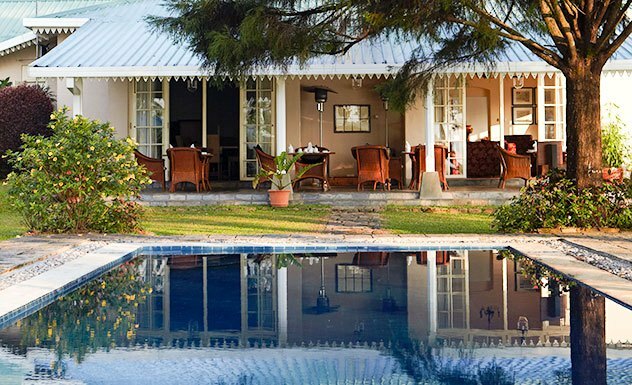 Within the confines of each bungalow guests will find over-sized rooms with four-poster beds, lavish bathrooms and a blazing log fire in the dining and drawing rooms. The meticulously maintained gardens also feature sun-decks and summer houses where traditional English Cream Teas are served by the bungalow’s resident butler. Enjoy reading by the pool, having high tea in the summerhouse or a gin and tonic on the terrace. This bungalow, built in 1925, lies nestled on the banks of Castlereagh Lake in a woody glade and is perhaps the most romantic of the five. 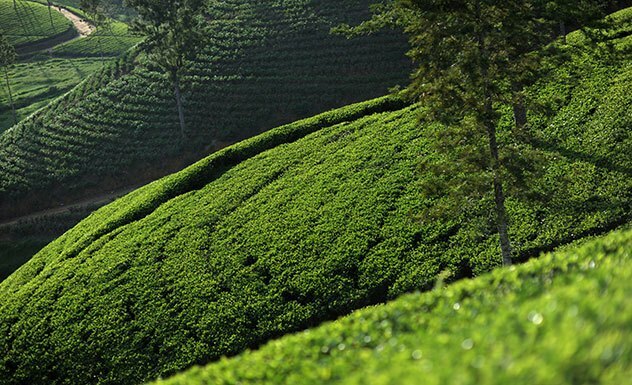 It is also the most remote and is reached along a windy, sometimes bumpy road that passes through tea plantations where pickers are busy at work. 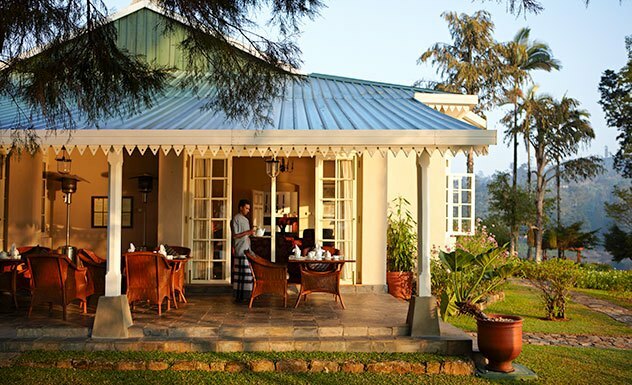 All the bungalows have three types of rooms: Luxury Suites, Garden Suites and Master Suites, each with its own touch of opulence, and individually named after former tea planters who served the estate. With the exception of Tate Luxury Room, which has twin beds, the rest of the rooms at Castlereagh include king-sized beds. 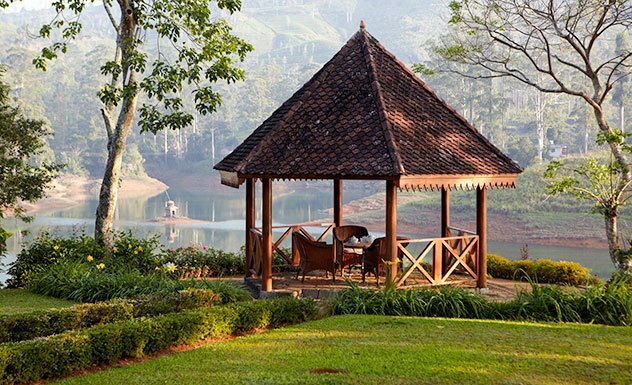 The Garden Suites have sensational views over the glassy waters of the lake. Spanning 40sqm, Jamieson is a twin room and a little quieter as it is the furthest away from the common areas. Tate is a double at 41sqm. The Garden Suites are Baker, Alston and Palmer. The Palmer suite though smaller than some at 41sqm, has the best views. However Alston at 67sqm and Baker at 64sqm have private gardens. 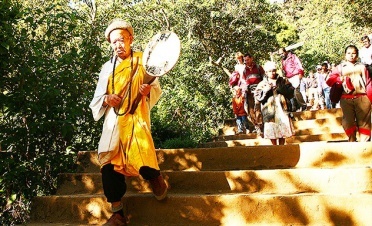 Begin the strenuous ascent in the middle of the night and reach the top in time for one of the most spectacular sunrises in Asia. 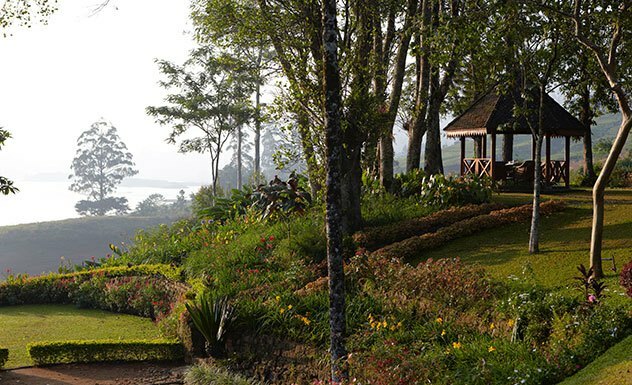 From your Tea Trails bungalow, cycle around the lake before heading to Laxapana waterfalls. After a swim, settle down to a picnic lunch. You’ll visit a factory with your host, and learn about the whole processing procedure and how different types of teas are created. 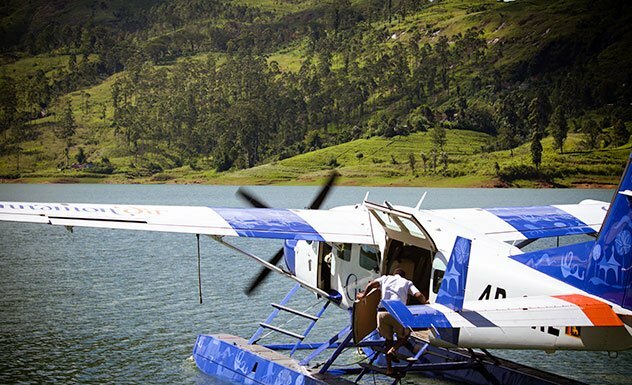 Sri Lanka’s ‘green gold’ is a large component of the Ceylon Tea Trails culinary experience: the innovative dishes are infused with the tea that lushly carpets the hills. 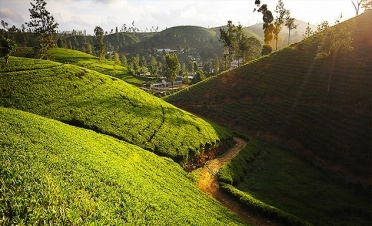 Fresh herbs such as basil, rosemary, sage, thyme, tarragon and mint inspire dishes that, combined with tea and fresh home-grown vegetables, create truly unique takes on classical British and Sri Lankan cuisine. All food and drink is included at Tea Trails; everything from your steaming cup of ‘bed tea’ in the morning to your delicious four-course dinner accompanied by fine wines, spirits and cocktails. Each bungalow has its own staff that includes a very talented chef and a personal butler who will take care of your every need. Breakfasts are lavish affairs where the full English must be tried at least once. 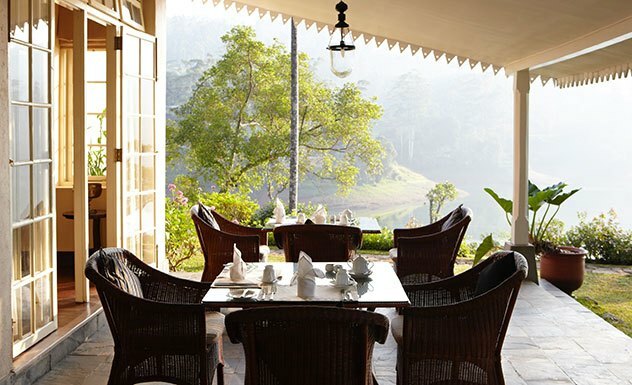 Lunches are typically light and informally-served on your veranda, although you could indulge in a delicious Sri Lankan rice and curry. Picnics of salads and roast beef sandwiches are provided if you want to go exploring. Be sure to return by 4pm to treat yourself to the delicious cream teas! Dinners are formal affairs. Expect lavish set menus and generous desserts that include cinnamon tea poached pears with butterscotch ice cream and a wicked chocolate biscuit cake! The bungalows are all family friendly. 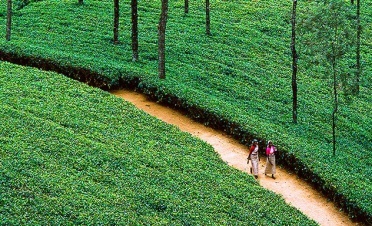 Children can enjoy walking the tea trails as well as learning about tea and how it grows.